NEW YORK (CBS) Aruban prosecutor Peter Blanken, who has been part of the investigation into the disappearance of Natalee Holloway, has learned that Joran van der Sloot is now a suspect in a new murder, that of a 21-year-old woman whose body was found in a hotel room in Lima, Peru. The prosecutor told CBS News that the allegation was a remarkable development and says that he is personally shocked by it. Early Wednesday morning, Stephany Flores Ramirez was found dead, Peruvian newspaper El Comercio reports, in a hotel room registered under van der Sloot's name. According to police reports, Ramirez had been brutally stabbed and was found wrapped in a blanket in a pool of blood. Chief of detectives Col. Miguel Canlla says that Stephany was murdered on Sunday, and the girl's father, Ricardo Flores, says van der Sloot appears with his daughter in video taken at a Lima casino early Sunday. Aruban Prosecutor Peter Blanken said that an Interpol international arrest warrant has been issued for van der Sloot, who may, according to some reports, be on the run from police. The Dutch Foreign Affairs Department in the Netherlands has notified their people in Chile to be aware that Joran may be in Chile. Five years ago, in May 2005, Alabama high school student Natalee Holloway disappeared during a senior class trip to Aruba. She was last seen leaving a bar with Joran van der Sloot. 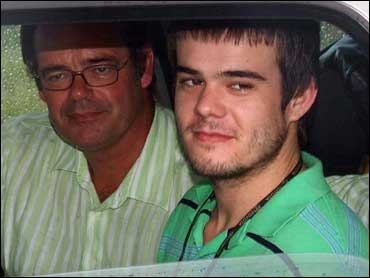 Van der Sloot has been detained several times, but never charged. According to Blanken, he is examining the new details but does not expect it to affect the Holloway case or provide new evidence. He says that they will be contacting the Peruvian authorities later today to see if they can offer assistance. Additional Reporting by Naomi Choy Smith.